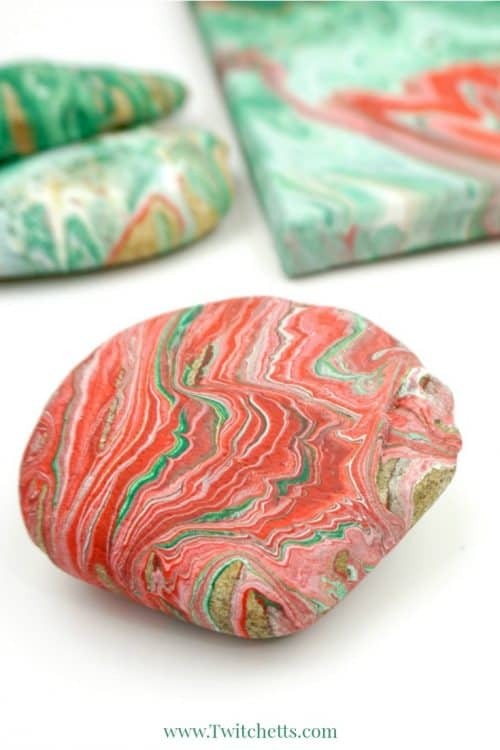 Create these beautiful poured rocks using acrylic paint and an inexpensive thickening agent. 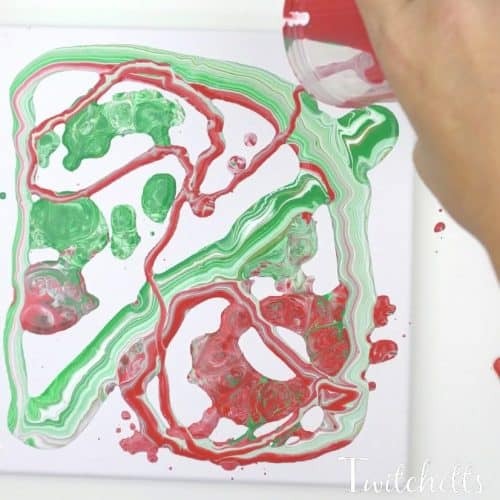 Pour painting is a fun creative painting technique that will mesmerize your kids. 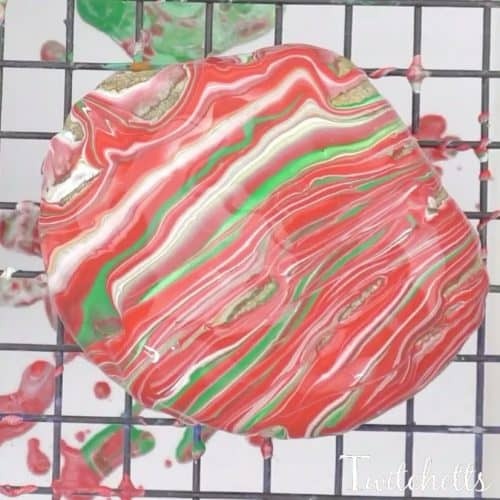 Have you seen the viral Facebook video where the woman creates these amazing works of art using a cup full of all different colors of paint? Well if your first thought was, wow that’s cool, immediately followed by, but that would make a huge mess and cost so much money to do. Then you’re in luck! Using a more cost-efficient thickening agent and a smaller surface to cover you can have a much more controlled project. We also have a way to use almost every drop of paint! 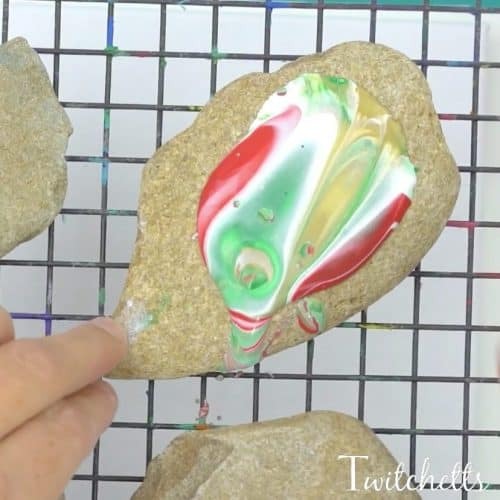 This tutorial uses Christmas colors to create beautiful holiday-themed poured rocks. 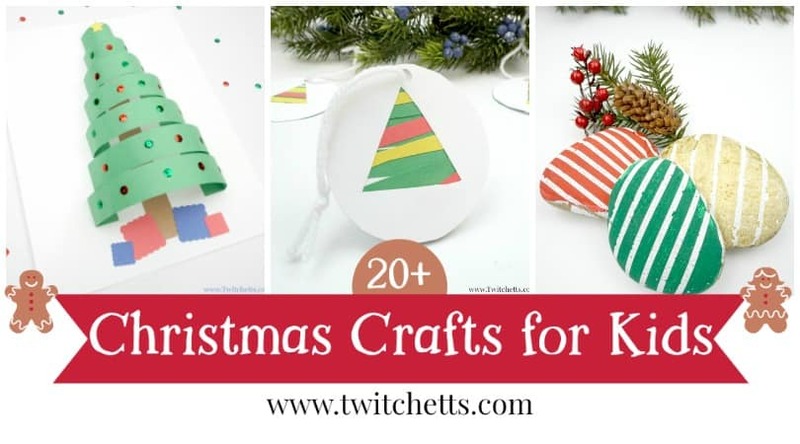 But you can do this project with any color you want! Rocks. Ones with flat surfaces work best. Paint Cups. One per color and one for the thickening agent. A Small Cup. I used an old medicine cup. You can also buy cheap plastic shot glasses in bulk. A Canvas. 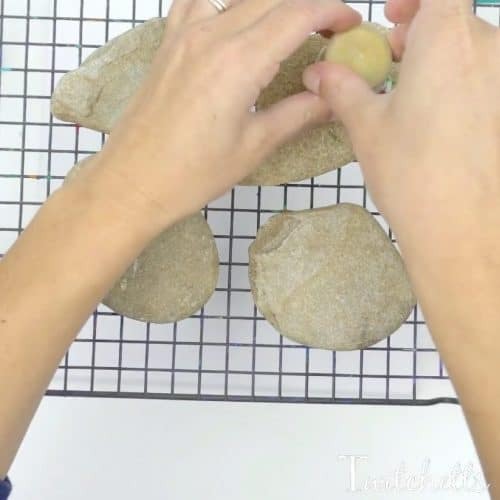 This is optional, but if you are doing a few rocks this it will catch your drippings and make a wonderful piece of art! 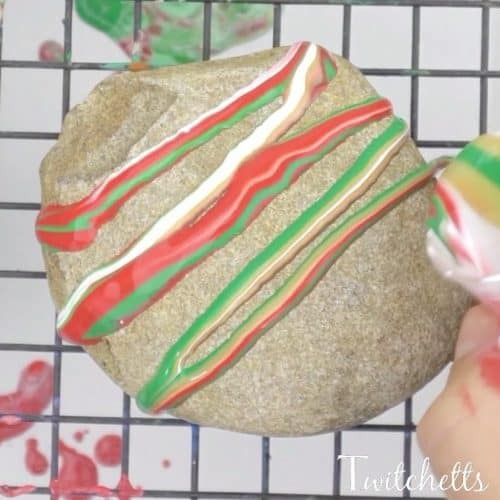 Check out these step by step instructions for poured Christmas rocks, then watch the video to see it all in action. Start by prepping your paints. 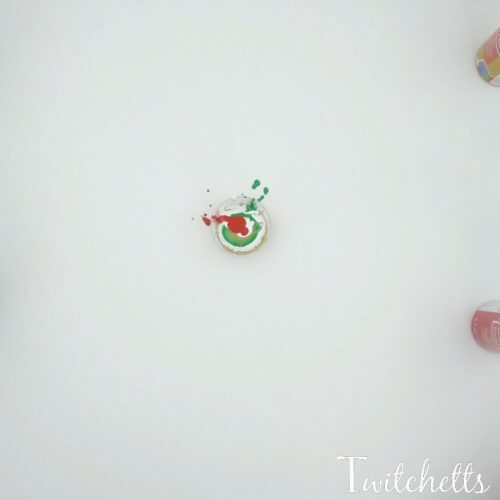 You need to make a batch of the thickening agent. 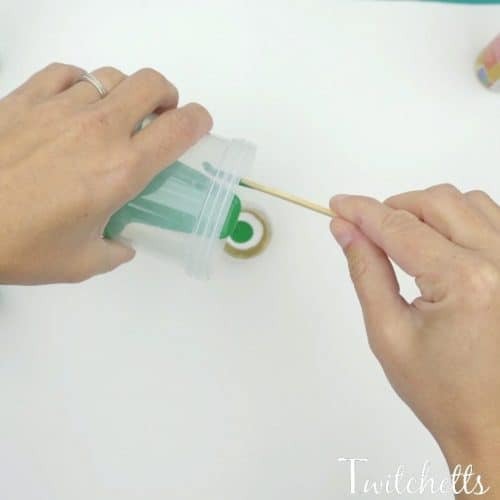 Do this by mixing 2 parts white glue to 1 part water. Mix it up well with a craft stick. Then mix your paints. 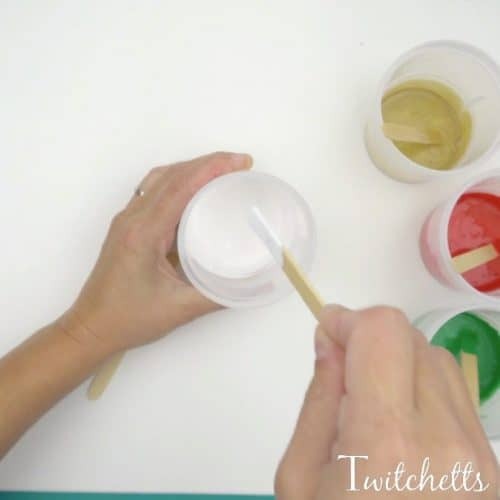 1 part paint to 1 part thickening agent. I used 1T of paint and 1T of the thickening agent for 4 colors. This was enough to cover 4 rocks and the canvas. 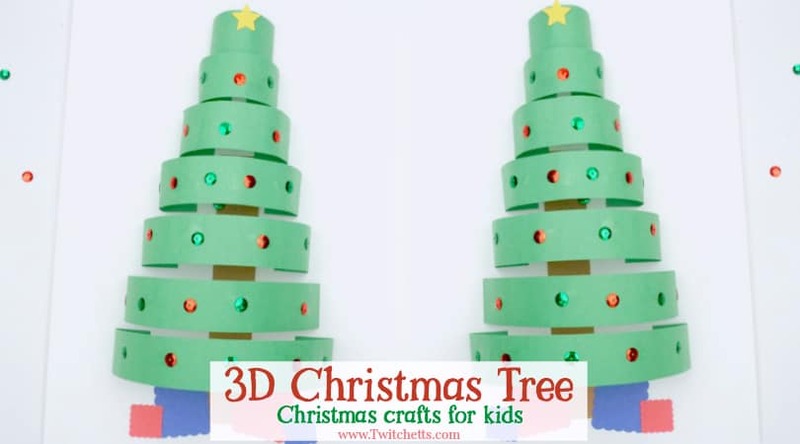 The measuring doesn’t have to be perfect so the kids can definitely help with these steps. Now it’s time to stack your paint! Start pouring the colors, one at a time, into a small cup. Stack the colors back and forth until it’s near the top. 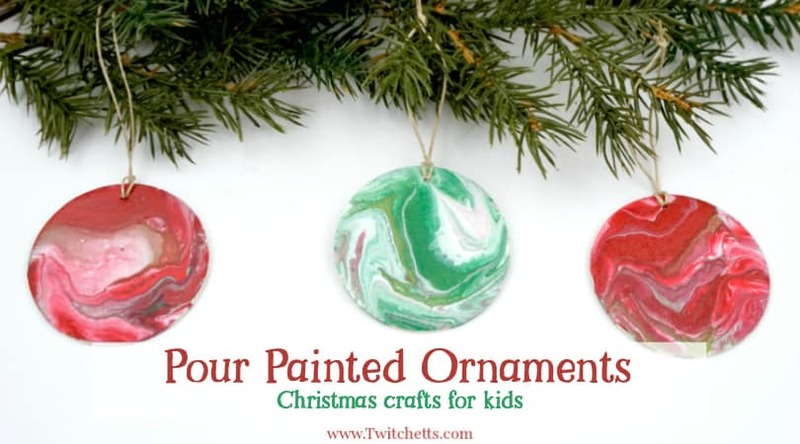 Related Content: Create one of kind pour painted Christmas ornaments! 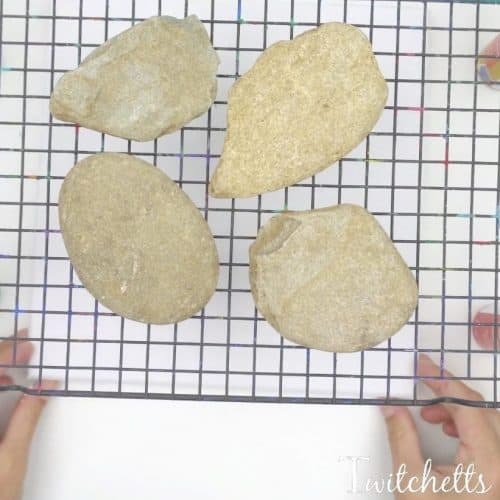 Set up the rocks on an inexpensive cooling rack. If you have a canvas, place it underneath the rack to catch the extra paint. You can pour it out of the cup in different directions. 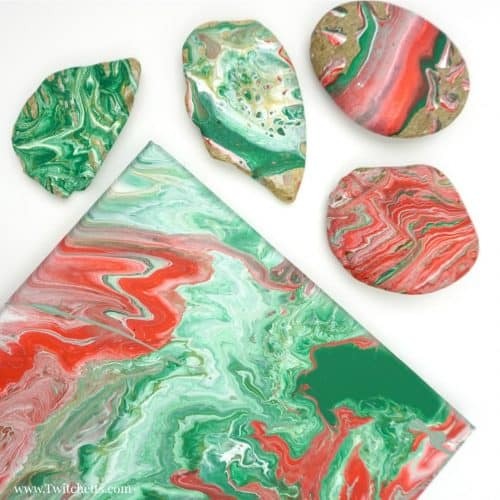 There is no right or wrong way to do create these poured Christmas rocks! 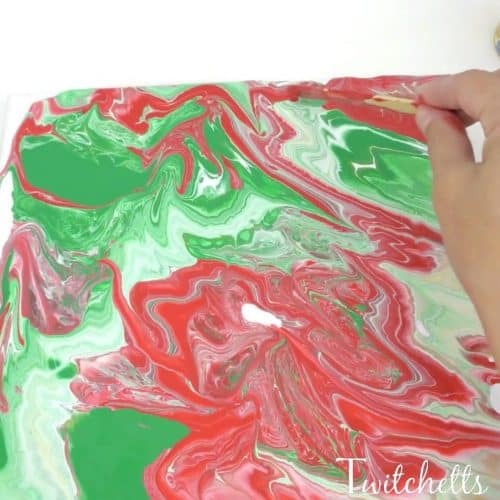 It is so fun to watch the colors swirl around. 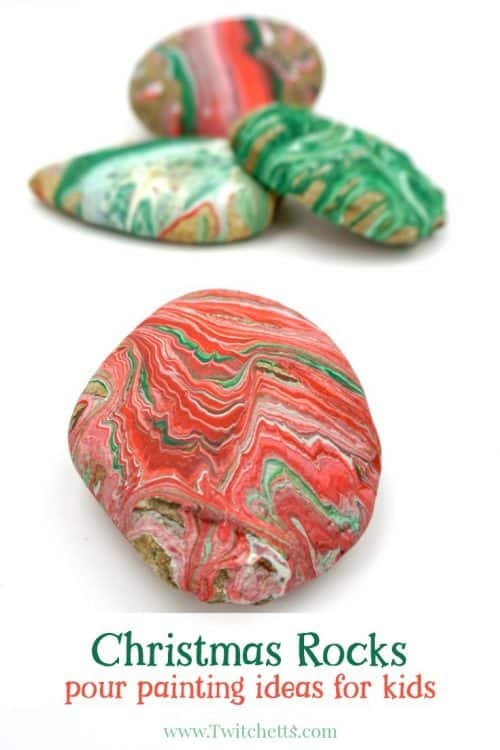 When you are done with your fluid art rocks, dump all your leftover paint into one of your bigger cups. 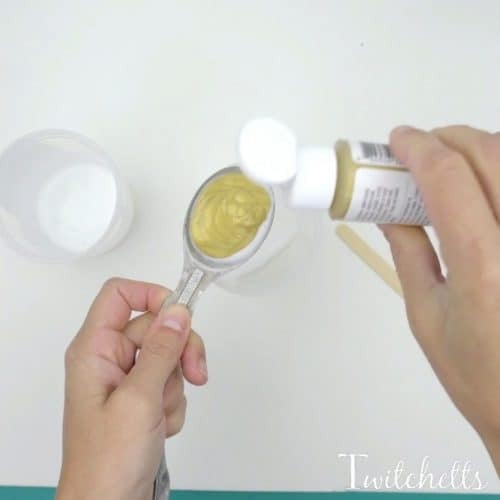 Pour over the top of your canvas tilting back and forth until the paint gets to the edges. 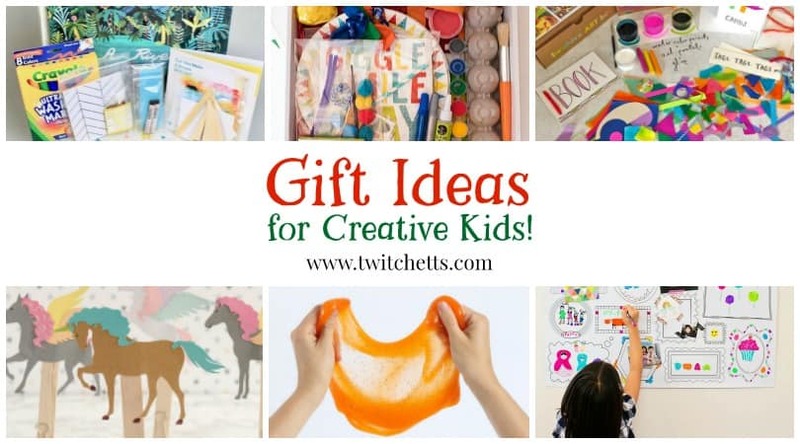 You can use your craft sticks to encourage it to the edge. 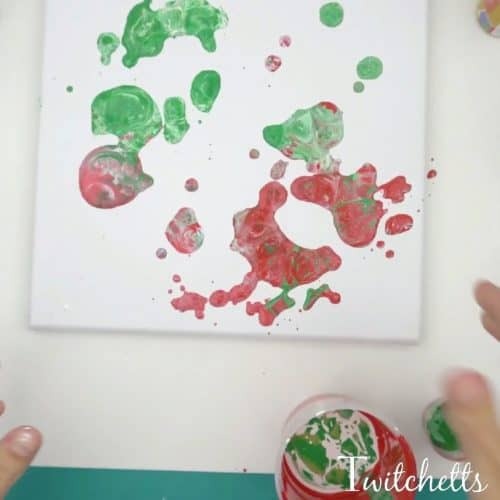 These pour painting projects were all dry within 12 hours! If you plan to hide the rocks make sure to spray them with a clear coat when you are done.